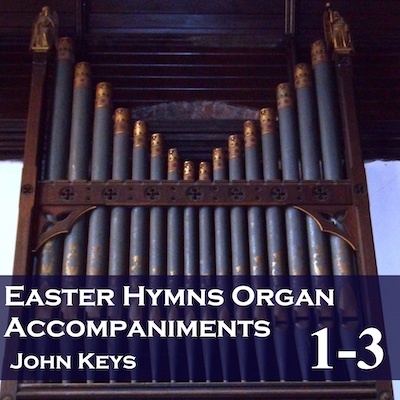 A 3 album set with the perfect selection of organ hymn accompaniments for Lent, Holy Week, Easter and Ascensiontide. There is some overlap with other sets, particularly the Core albums, but all tracks are newly recorded, so provide a different registration (organ sound). Alternatively you can download whole albums at a reduced price. There are no voices on these recordings, just a playover and the accompaniment. Any or all of the tracks for these albums can also be download from Amazon and iTunes, or the whole set can be downloaded directly from us.